I am a bit of a snob about lip balm. It needs to absorb into my lips, not just put a waxy coat on them. I also want it to soften and heal my often chapped lips. Not many can do this, burts bees comes the closest, but even it wasn't quite what I wanted and it is not exactly cheap. After some research and searching through recipes I finally pieced together one that I am happy with. It smell great, feels great and thanks to the comfrey it is healing. Give it a try and see what you think. In a double boiler over medium heat put coconut oil and comfrey and let steep for 45min to an hour. Strain oil through cheesecloth, throw away herbs and wipe any remaining herbs out of pot. Over low heat melt beeswax, comfrey coconut oil, cocoa butter and vitamin E. Use a longish stick or small whisk to stir (a chopstick is perfect). Pour quickly into clean tins or jars. Stirring mixture as you do so the oil doesn't separate. Let cool on counter till hard. 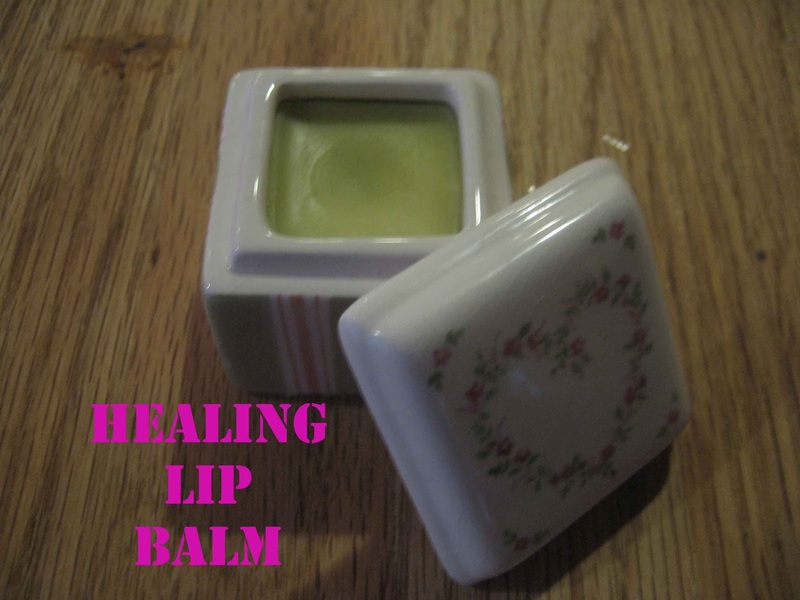 If you don't have comfrey you can still make this without it and it will turn out more like Burt's Bees Lip Balm, the role of the comfrey is to give it extra healing zip.